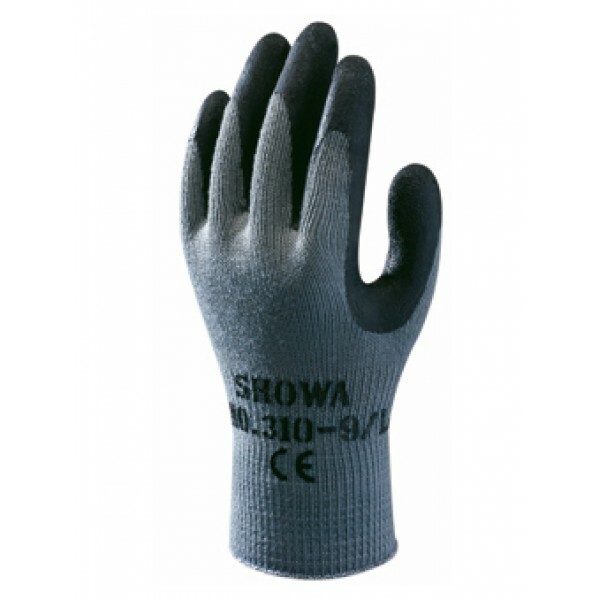 Showa 310 Grip Green Glove 3/4 dipped natural rubber coating on palm and fingers. Cotton polyester knitted liner. Protects against cuts and abrasions. Strong, durable and hard-wearing. Knitted wrist. Conforms to BS EN 388:1994.